Linnéa Lundgren: Berklee Voice Department Achievement Scholarship Award! Berklee Voice Department Achievement Scholarship Award! For my outstanding achievement in major and my contributions to the voice department. I was really surprised at first when I got the email! Me? Really? The voice department is the biggest at Berklee and they have a lot of great singers, so I'm really honored that they chose me to get it! But I also know that I work incredibly hard to do something special and sustainable beyond Berklee, and I hope people can see that. Unfortunately, the money from the award are not enough to be able to stay, but it's at least something, and I keep working hard so that I can stay. That is really where my hopes and dreams lie right now. So that I can keep doing all the creative stuff I am doing right now, and keep working with amazing people and learn. I am learning like a child right now. Just sucking in what ever people wishes to teach me, and it is so inspiring! 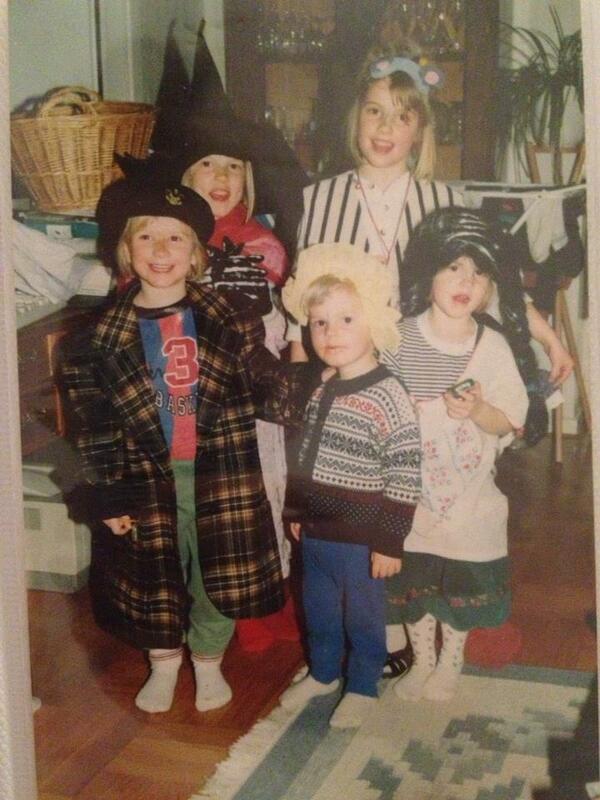 Speaking of kids; weren't we the cutest gang? Me and my sister and our family friends. -95?